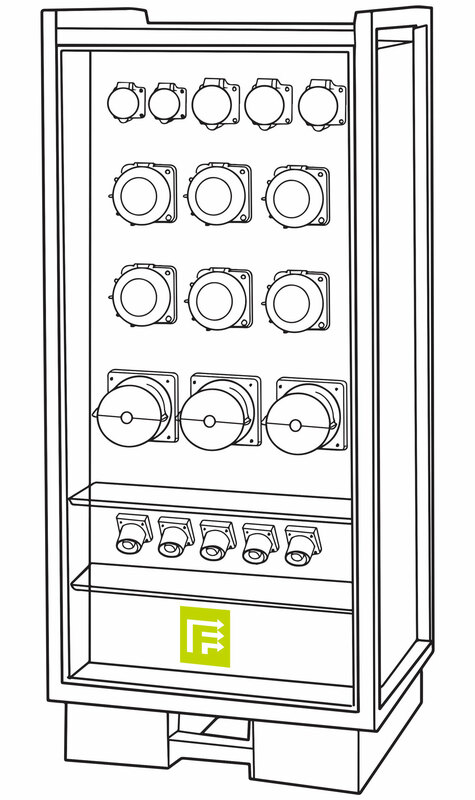 FLOW can provide a turnkey power solution to any scenario- big or small. The latest technology in emissions and performance result in an uninterrupted, fully syncronisable and silent power source. Alongside our fleet of power generators, we can also supply a full range of distribution boards and power cables, offering a truly progressive power solution. FLOW provides some of the most efficient canopy generators in the market. Our selection ranges from 60 KVA to 500 KVA of silently running units, suitable for a large range of applications. Our generators have the capability for synchronization and remote monitoring for ease and convenience. We stock specialized power generation equipment designed for rental applications. Our units are created to cover several key points: low maintenance, low noise levels, high ambient temperature rating and in-built synchronization and remote monitoring as standard. Our fleet of generators has been designed to have flexibility in mind. From load on demand functionality for utility power to remote monitoring for isolated locations our fleet of rental ready equipment can be utilized to offer a reliable, stable power supply to sectors including events, shipping, oil & gas, construction and beyond. FLOW’s distribution boards (DB’s) and cable products are all certified and manufactured by highly reputable companies. Each product is tested, serviced and maintained following each installation guaranteeing superior performance and ensuring every precaution has been made with regard to health and safety. At FLOW, we strive to ensure that our product range delivers in all aspects: performance, reliability, versatility and safety. We ensure that all FLOW DB’s are fitted with European Standard Cee-Form and Power-lock connectors eliminating the need for hard wiring systems. This method not only ensure that each power connection is as safe as possible, but they also simplify the installation process, saving valuable set-up time. Our cables are of the highest quality, and we only use H07RN-F rubberized cables which protect against water, oil and heat, making them suitable for all conditions. Our in-house team of project managers, engineers and technicians are always on hand to assist with project planning, installation and on-going maintenance. Our products, management and methodologies ensure ease of installation, continuity of service, and of course optimum safety on site.